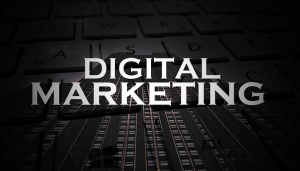 Digital Marketing Agency in Delhi – are you searching for Digital Marketing Agency in NCR ? We are among the few companies who can provide the Best Digital Marketing Services in Delhi/NCR, Website Design & Development Services in Delhi/NCR based on the Client necessities at affordable prices. We are keen to provide the best Business solutions to small and medium business at a very low price. Uses our Seo Services to boost traffic, deliver leads and skyrocket sales Search Engine Optimization (SEO) is the most important part of any websites marketing strategy. The process consists of a range of tried and tested – and sometimes tentative – techniques that exploit on the way that engine assess a web page’s relevance to a given inquiry. Our mission is to help small and medium size organizations in Delhi/NCR and India region increase exposure. For more info & and best prices please Get in touch with us @ +91-7678237402 or you can also send in your query at info@exopicmedia.com.